Congratulations are in order for four civilian Army acquisition employees selected as project directors (PDs) for FY19 and FY20. The centralized selection board identified these individuals as high-performing civilians possessing leadership potential to fill civilian PD positions commensurate with their military counterparts. See the full story at https://asc.army.mil/web/news-army-selects-four-acquisition-project-directors-for-fiscal-years-2019-and-2020/. Attention all business-cost estimating (BUS-CE) and business-financial management (BUS-FM) acquisition professionals! As of Jan. 1, new training requirements will be in place for BUS-CE and BUS-FM certification. More details can be found at https://asc.army.mil/web/wp-content/uploads/2018/10/Oct2018_DACM-Newsletter.pdf. Money Talks: How would you like a refund on the cost of your higher education? The Student Loan Repayment Program (SLRP) is designed to repay federally insured student loans for civilian acquisition professionals and opens for applications on Jan. 2. Find out more about this great program at https://asc.army.mil/web/career-development/programs/student-loan-repayment-program/. Join the Fellowship: The Defense Acquisition University Senior Service College Fellowship (DAU-SSCF) opens for applications on Dec. 3. GS-14/15 acquisition workforce civilians are welcome to apply to the only fellowship approved by the Army. The valuable 10-month program prepares students for leadership roles such as product and project manager, program executive officer, and other key acquisition leadership positions. 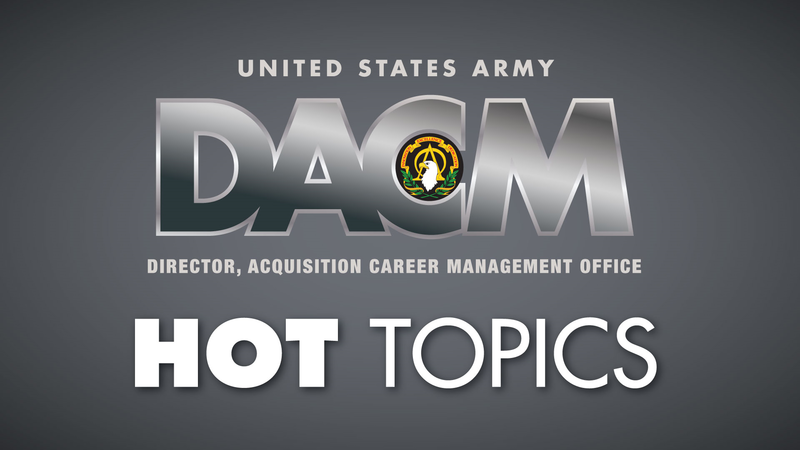 For more information, go to https://asc.army.mil/web/career-development/programs/defense-acquisition-university-senior-service-college/. We have the “IDEAL” leadership opportunity for you! The Inspiring and Developing Excellence in Acquisition Leaders (IDEAL) program is open for applications through Jan. 4. IDEAL prepares midcareer professionals for positions where they will lead people, teams and other working groups. 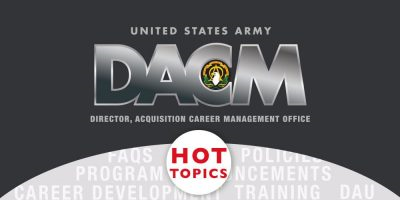 Find out more about the program at https://asc.army.mil/web/career-development/programs/inspiring-and-developing-excellence-in-acquisition-leaders-ideal/.